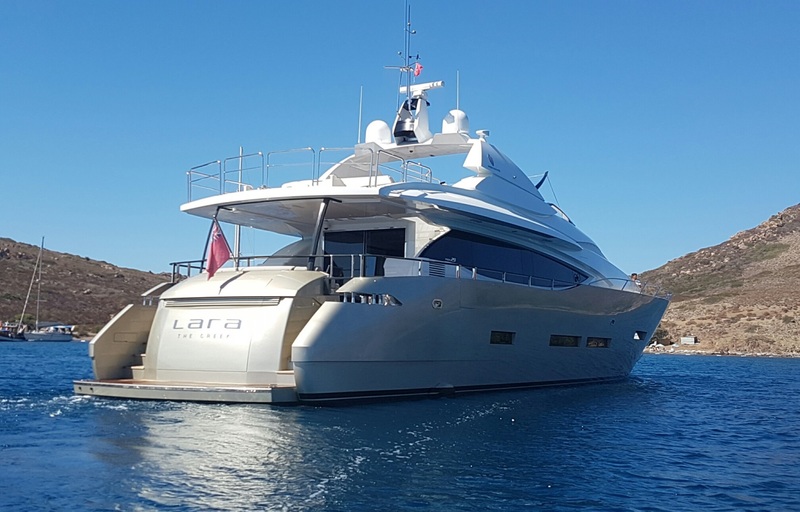 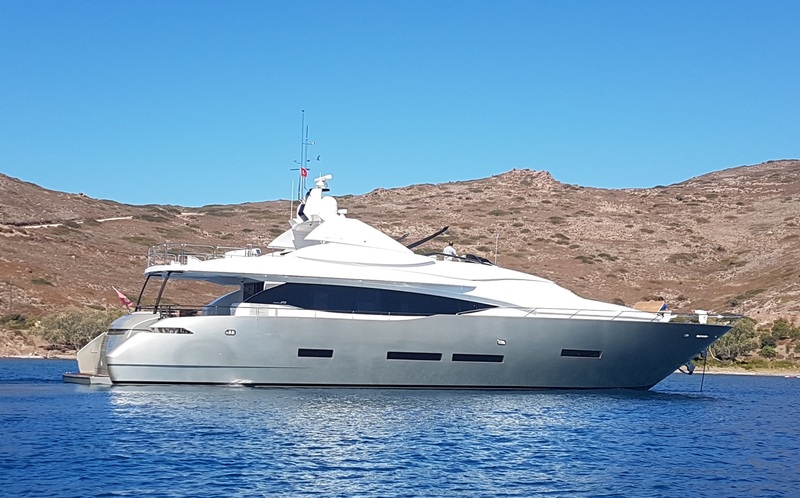 Motor yacht LARA (ex Mitsi) was launched in 2010 by Peri yachts and fully refitted in 2018 by KRM Yacht. 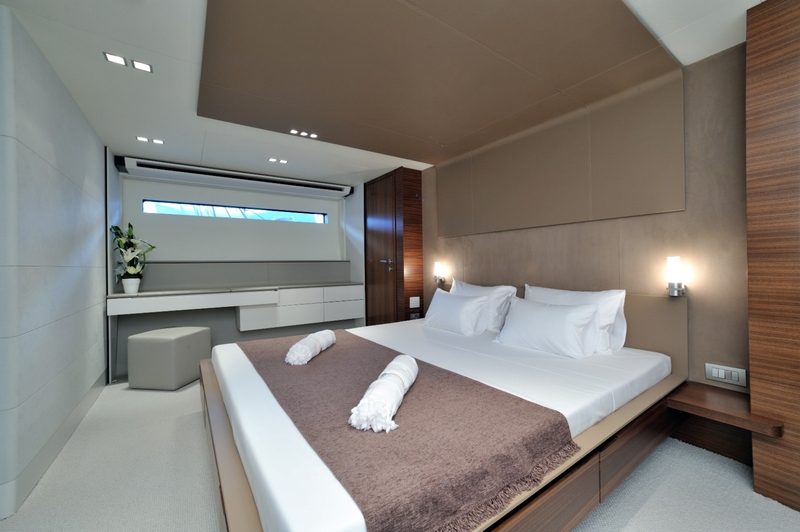 Measuring 29m (95ft) she can offer luxury accommodation in 4 cabins, for up to 8 guests. 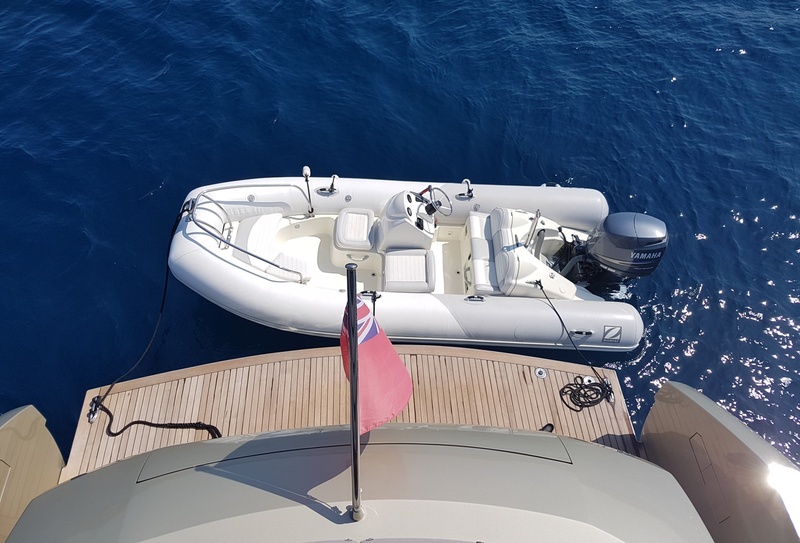 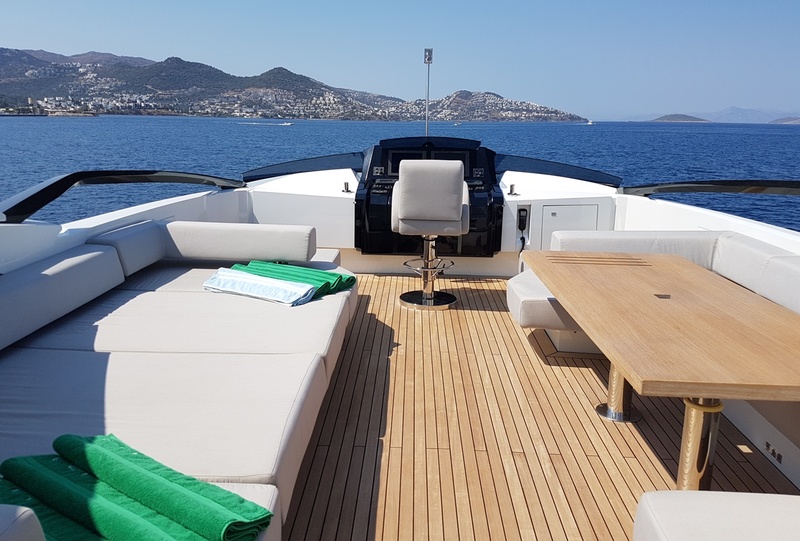 Dixon Yacht Design is responsible for the naval architecture of the yacht, while Scaro has done her original exterior and interior design, with Hot Lab being responsible for her newly refitted interiors from 2018. 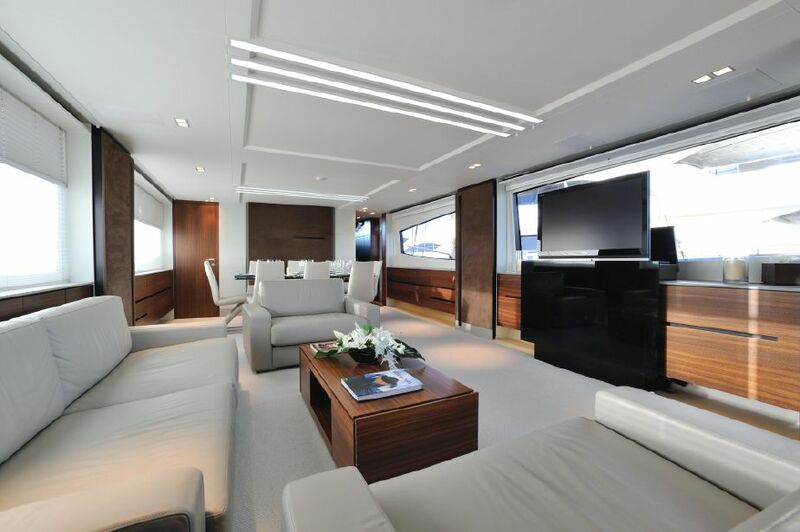 Her interior décor is contemporary and minimal. 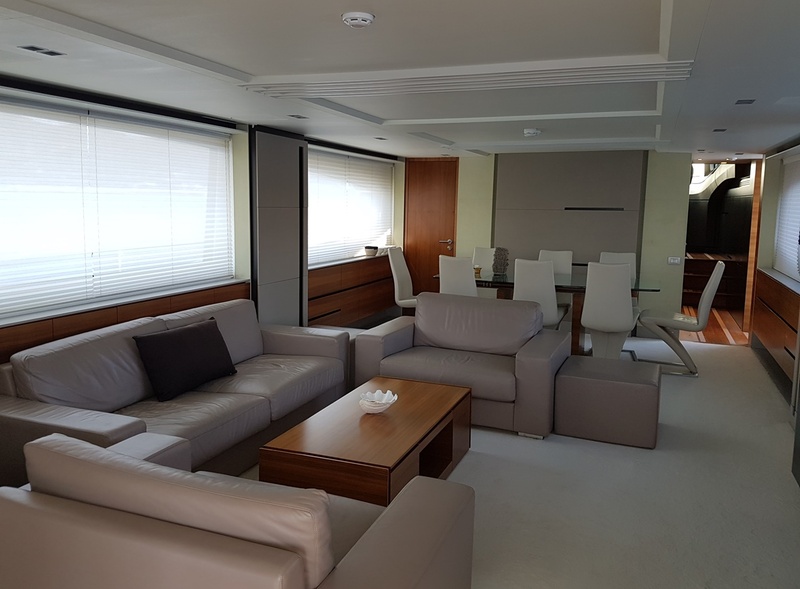 On the main deck is the open plan salon and dining, featuring a comfortable lounge with leather sofas, coffee table and entertainment systems. 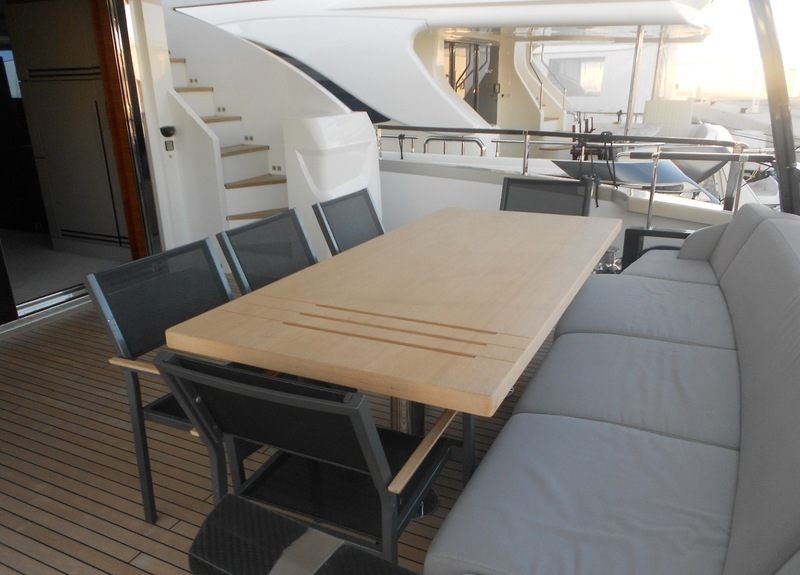 Forward the formal dining table seats 8 guests in style. 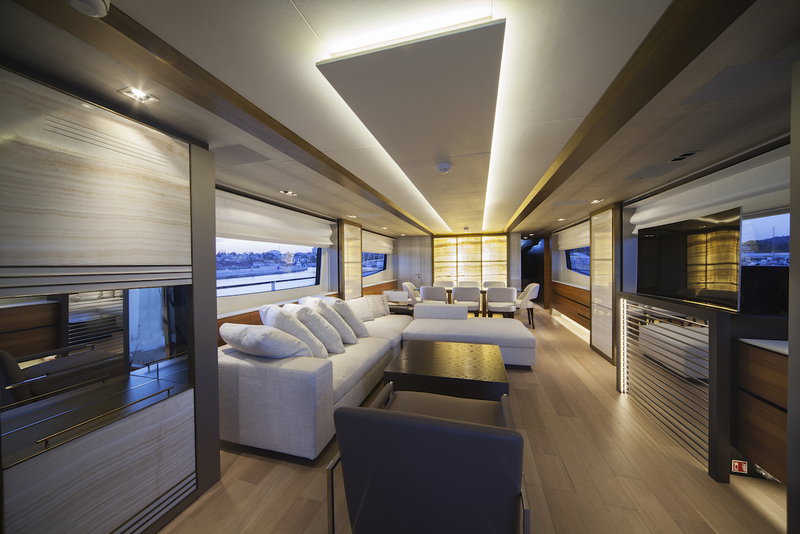 With surrounding panoramic windows, she boasts great natural light and views. 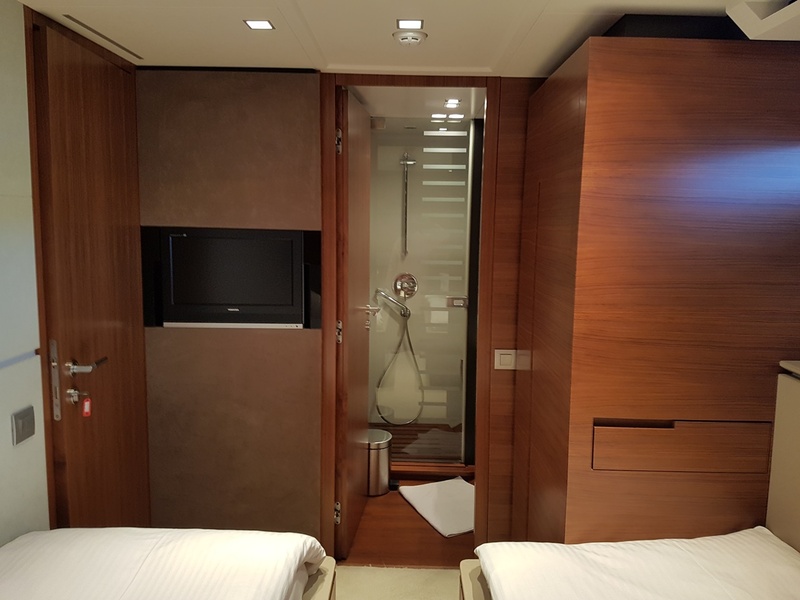 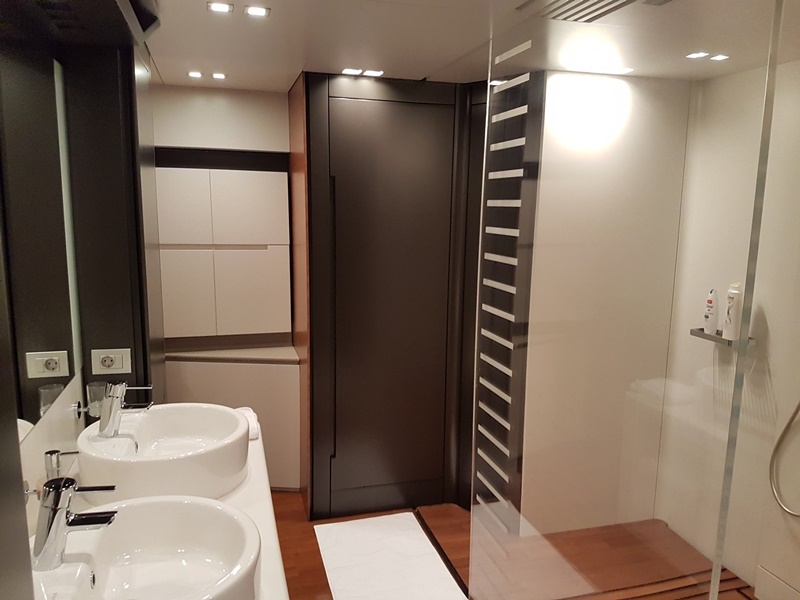 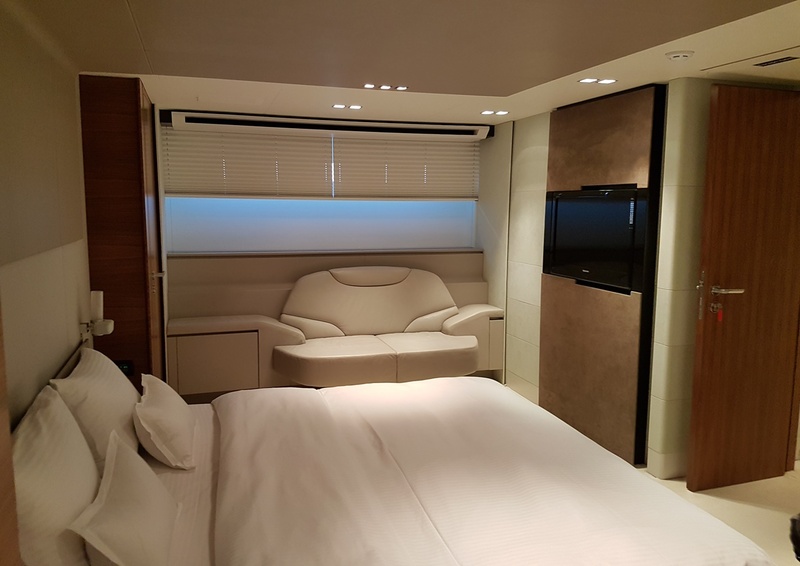 Below decks, there are 4 cabins, each offering private en-suite facilities. 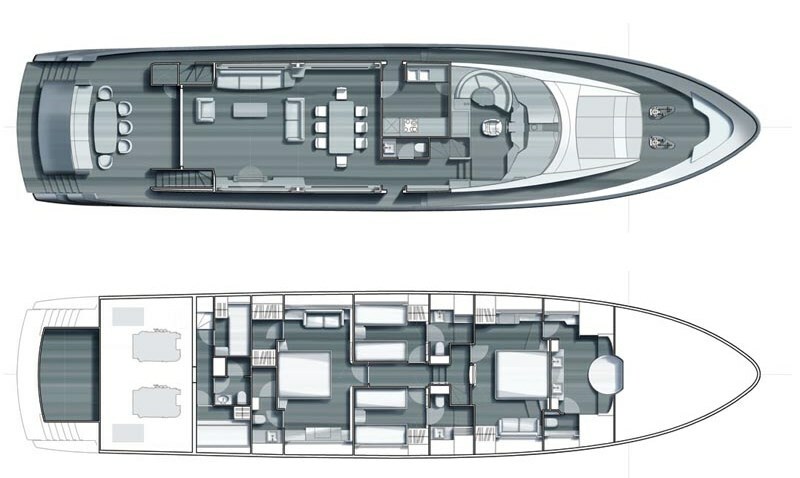 Her master cabin and VIP cabin are full-beam of the yacht amidships and forward, while 2 twin cabins each have side by side single beds. 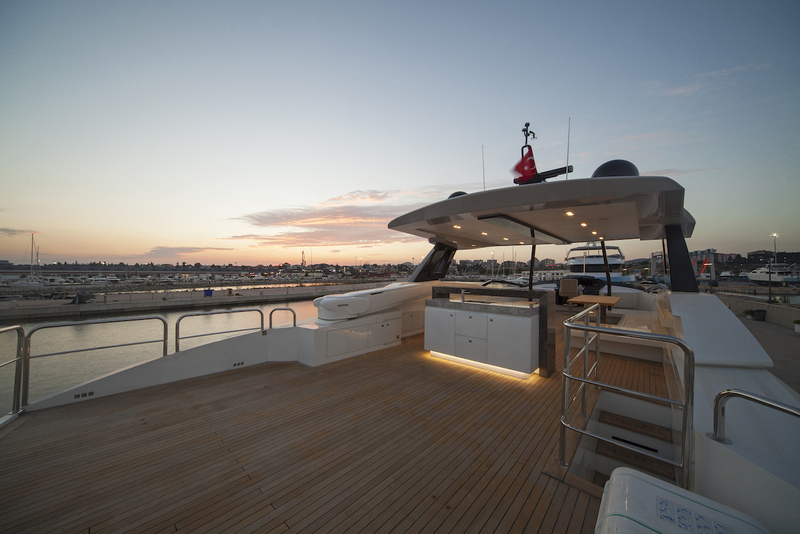 There are plenty of options for enjoying the Peri yachts exterior living which is laid out over 2 spacious decks. 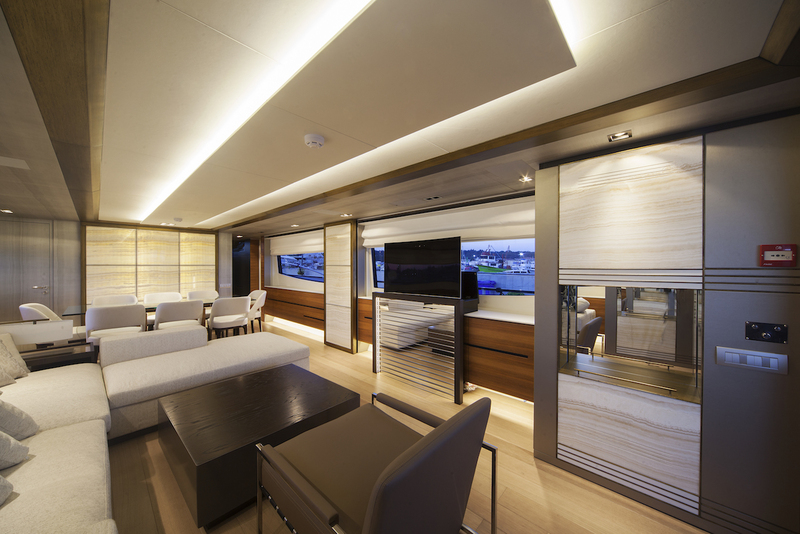 Adjacent to the salon is a shaded aft deck, with alfresco dining and ample seating. 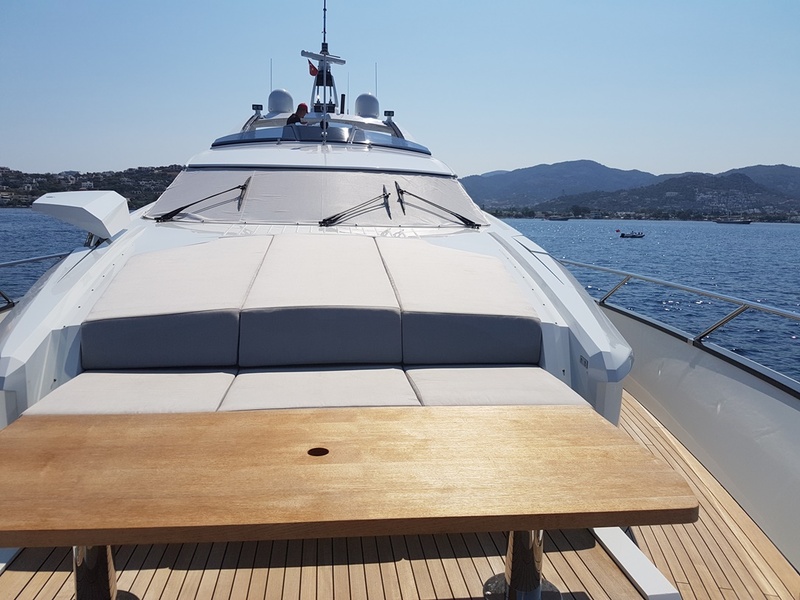 Following the aft deck astern, steps lead to the extended swim platform and water toys activity centre. 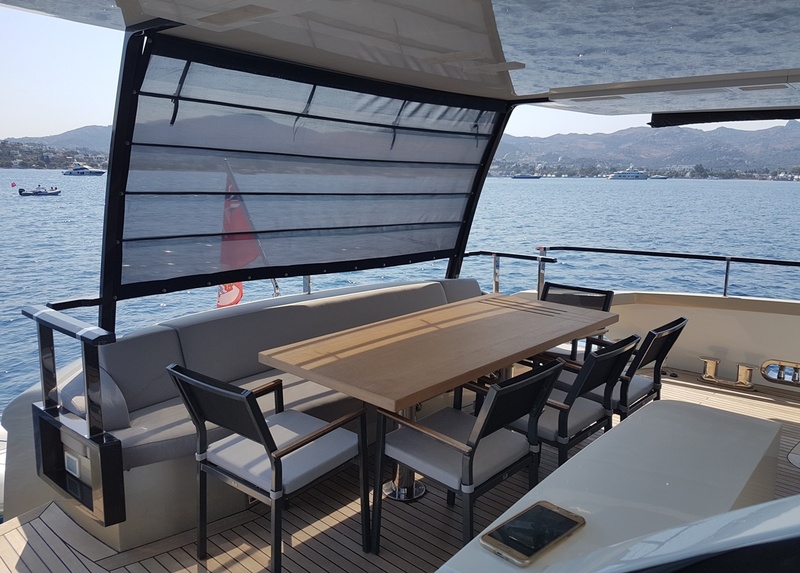 Side decks wrap around the yacht giving easy access to the foredeck, where there are a further alfresco dining table and sun pads. 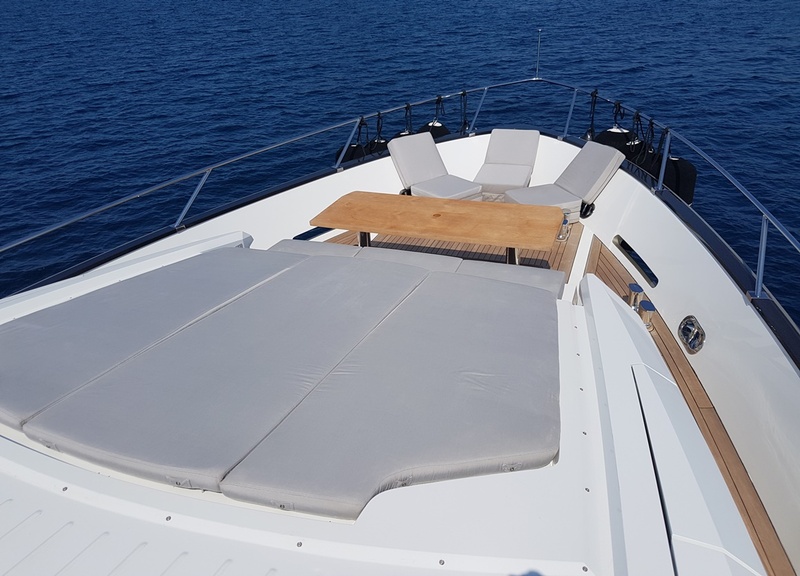 Her upper sundeck is well-appointed, complete with an additional alfresco dining option, sun pads, wet bar and further sunning space. 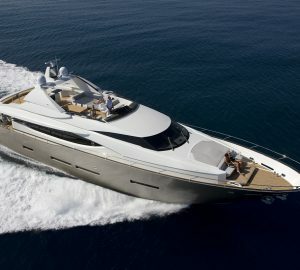 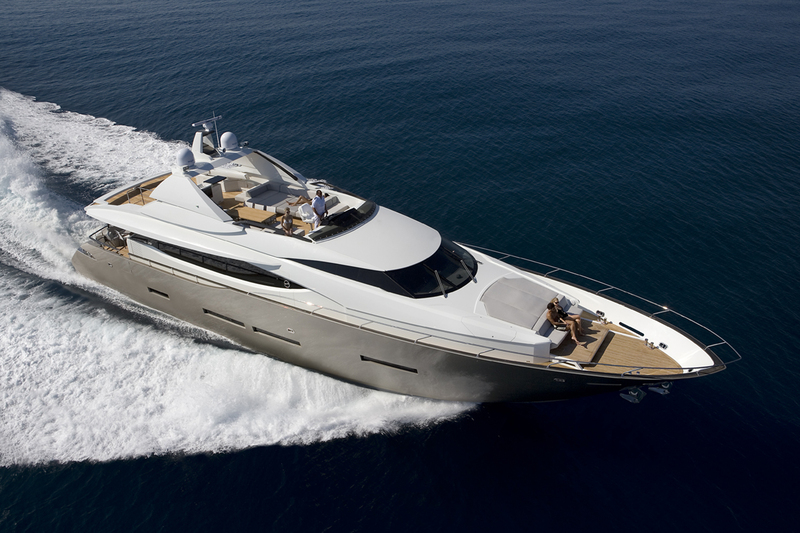 She is powered by 2 x CAT 1825hp engines, capable of cruising at 18 knots, with top speeds of 28 knots. 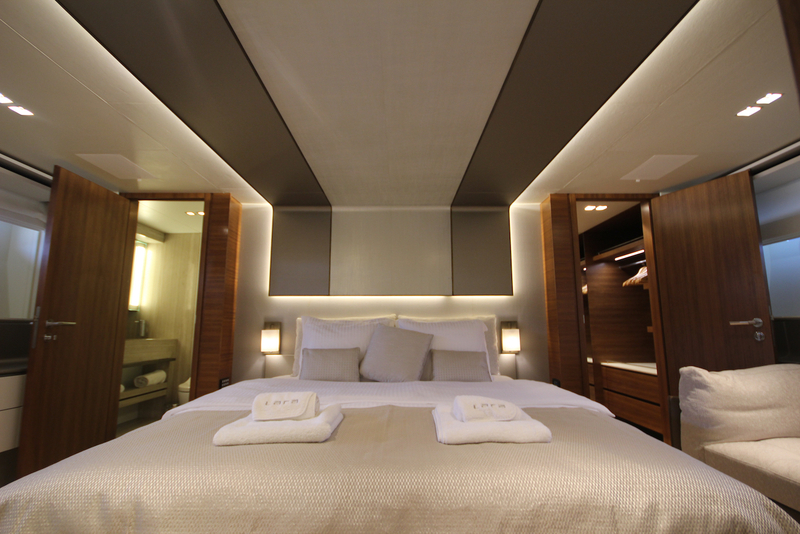 Guest accommodation is in 1 master cabin, 1 VIP cabin and 2 twin cabins. 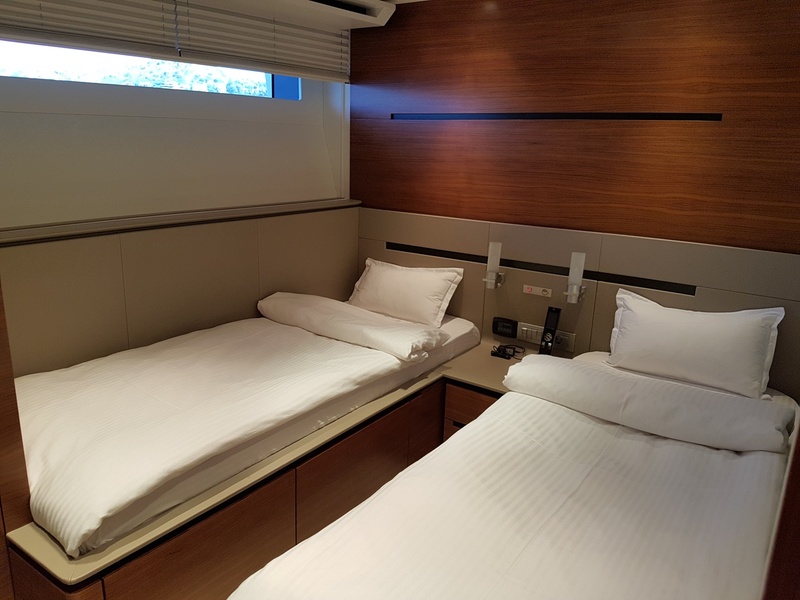 All 4 cabins are ensuite. 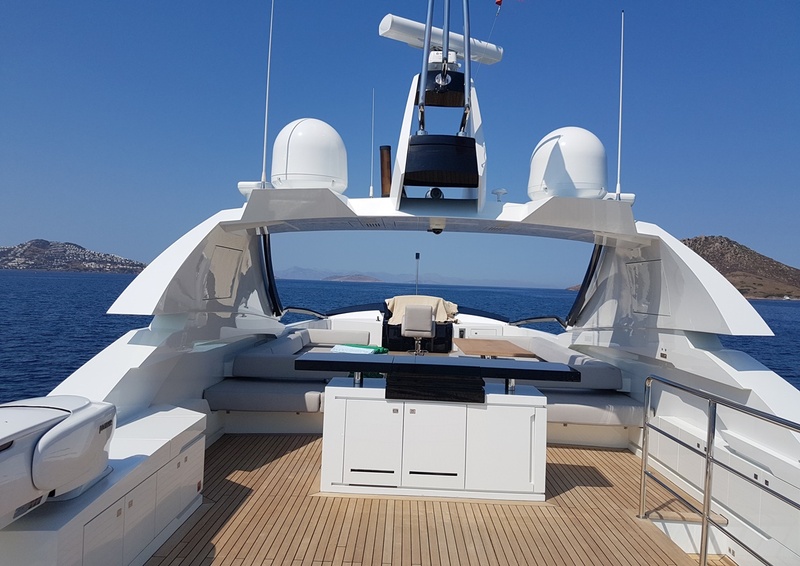 The master cabin and the VIP cabin are full beam of the yacht, while the twin cabins are mirror image amidships and forward. 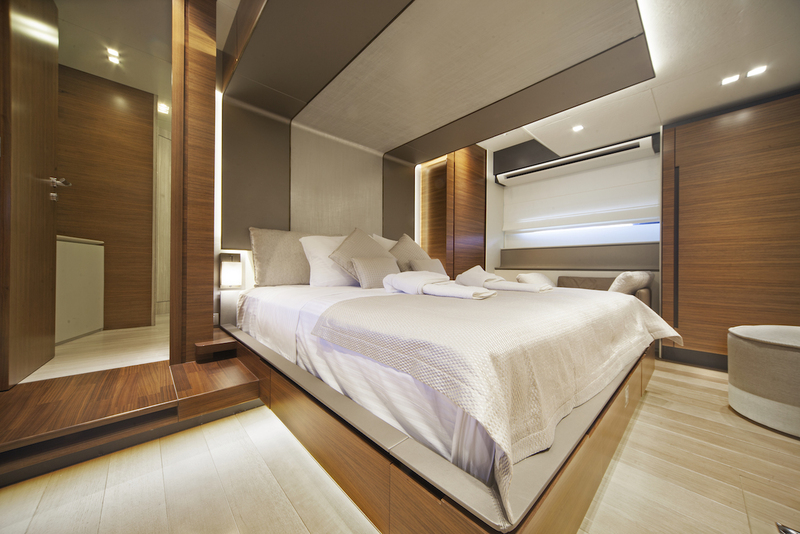 Crew quarters are separate, ensuring guest privacy.